This is a nice piece. 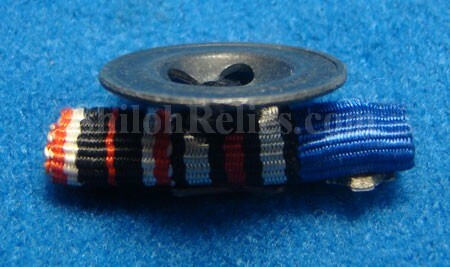 It is the buttonaire device that was worn by a soldier in the German army. This would have been worn after receiving the 25 year long service medal from the Nazi Party which is what the blue ribbon with the cross signifies. 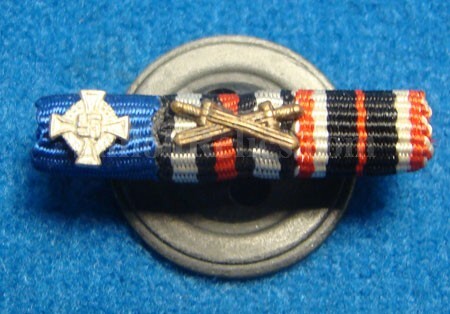 The middle piece is for the War Merit Cross with swords and the other side it for the World War 1 Combat service medal. 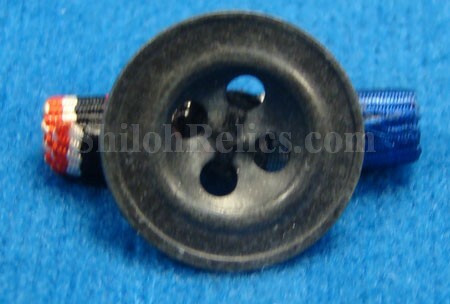 It still has the metal button on the reverse. The piece displays quite well.